In this episode, a Kymera Craft, a sleek and visually appealing spaceship, pursues a Terator Starship, an extremely ugly spaceship. Manning these two ships, respectively, are the TERATOR and the KYMERA. Like the Terator Starship, the TERATOR is an ugly creature; like the Kymera Craft, the KYMERA is a beautiful creature. The Terator Starship escapes the attacking Kymera Craft and descends to Third Earth landing at the Cats’ Lair. When LION-0 sees the Terator Starship and it fails to respond to his request for identification, LION-0 automatically assumes that the Terator Starship is evil and attacks the spaceship. 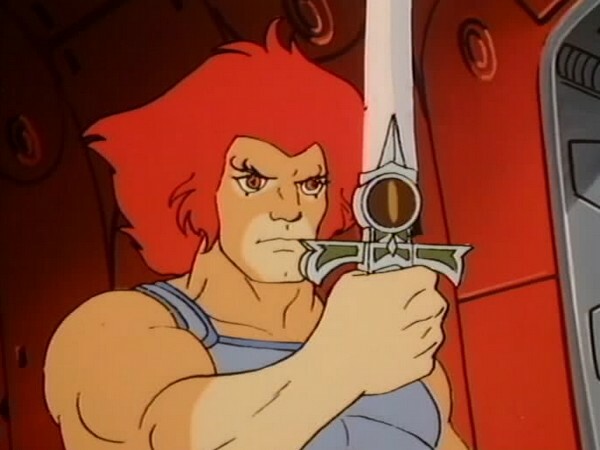 In retaliation, the TERATOR uses laser beams rendering LION-0 immobile blocking his attempts to signal the other THUNDERCATS; even the Sword of Omens won’t obey LION-0. 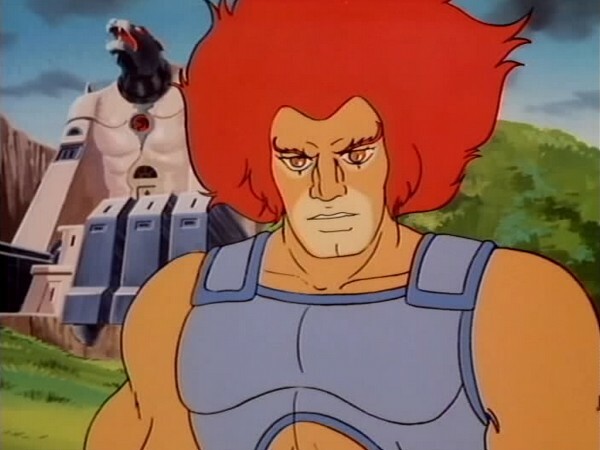 As the TERATOR begins to communicate with LION-0, he insists that LION-0 attacked him first, that he means no harm, and that he is not LION-O’s enemy. The Kymera Craft reappears and the Terator Starship is shot down. The Kymera Craft returns to the Lair and the KYMERA explains to LION-0 that the TERATORS are his enemies and that he is searching the galaxies for survivors of the latest TERATOR raids on his planet. LION-0 responds that this is exactly the same story the TERATOR told him about the KYMERA. The KYMERA warns LION-0 never trust a TERATOR and anyone can tell by their appearance that they are evil. As LION-0 doubts the KYMERA’s word, the KYMERA attacks him. LION-0 realizes that the KYMERA is evil and the TERATOR is good. As the Kymera Craft begins to leave the Cats’ Lair, LION-0 summons the other THUNDERCATS with the Sword and they pursue the Kymera Craft in the Feliner. The Terator Starship returns and aids the Feliner in battling the Kymera Craft. LION-0 destroys the Kymera Craft with the Sword of Omens, and the Terator Starship is saved. 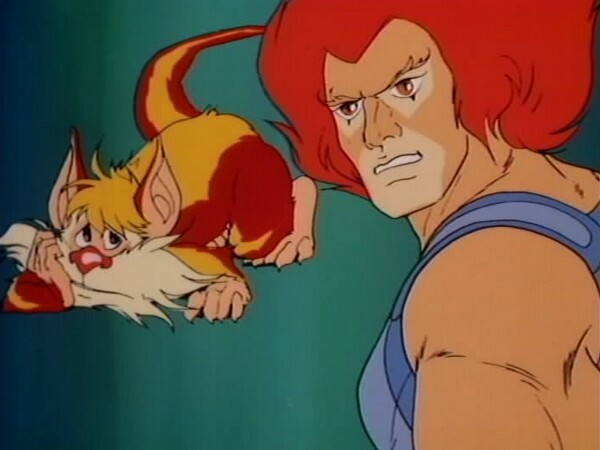 Lion-O and Snarf make the mistake of equating two aliens’ looks with their character and intentions. Because they have never encountered a spaceship or creature like the Terator, and because its looks, mannerisms, and sounds are ugly and foreign to them, they consider it hostile and seek to defend themselves by attacking it. On the other hand, because the Kymera is handsome and pleasing, they assume it is friendly. 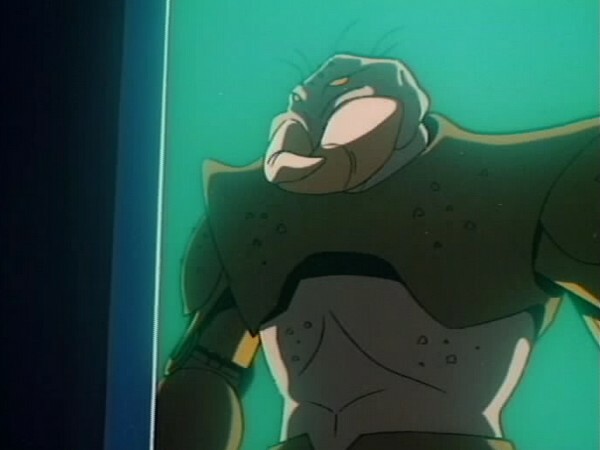 When their assumptions are proven wrong, they and the other ThunderCats are forced to do battle to avoid the Kymera’s destructive purposes and to help the Terator. Often our assumptions about others are based on peripheral in-characteristics rather than essential ones. Because some persons may be handsome or pretty, we judge them to be good, and because other persons are not pleasing in appearance, we view them to be bad. This episode represents a lesson we know from our own experiences to be true – that appearances may be deceiving and we must go beyond looks to determine the qualities of persons. In a broader context, the lesson can be extended to include how we use stereotypes, or generalized conceptions of other persons, races, or classes. While generalizations about other groups may serve a constructive purpose in helping us to identify and classify peoples, e.g., in teaching us the cultural mores of an ethnic group, they may also be the sustaining roots of prejudice. Prejudice consists of rigid and hostile attitudes directed towards a group or an individual because he is a member of a group. When our generalizations become unwarranted and applied indiscriminately to individuals, we are guilty of prejudicial attitudes and feelings. It is a difficult task to assure that our stereotypes and generalizations are not unfounded or used indiscriminately. We must always be on guard so that we do not fall victim to prejudicial thinking. 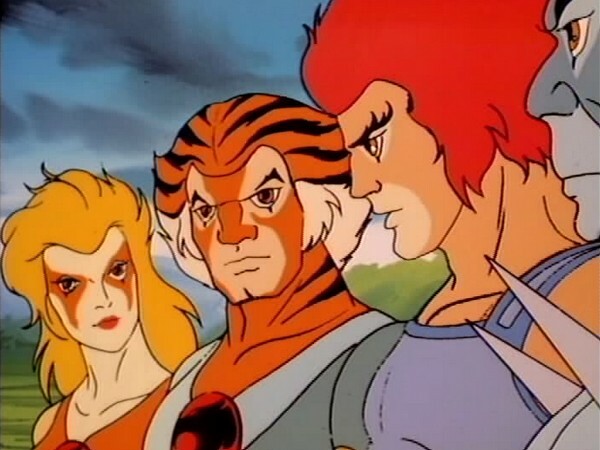 When the series was launched by Rankin­Bass, one of the stated goals of ThunderCats was to basically educate children in life lessons whilst sugar-coating this educational pill with an engrossing dose of action and adventure. 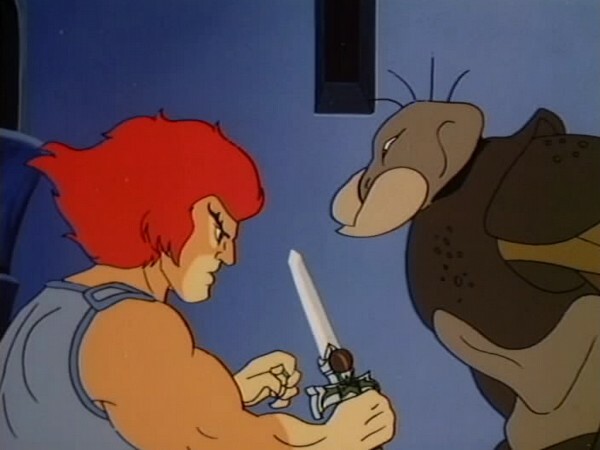 At the time the show debuted, this was not a new approach – US based animation company Filmation had turned this almost into an art form, most notably with their pioneering adventure series He­Man and the Masters of the Universe, and so it could be argued that ThunderCats was simply following the trend of the time. However, whilst this may have a ring of truth about it, to make so dismissive a statement would actually be to do ThunderCats a grave disservice, for at its best the series actually succeeded better than any of its contemporaries at this goal, and this episode is a fantastic example of this. 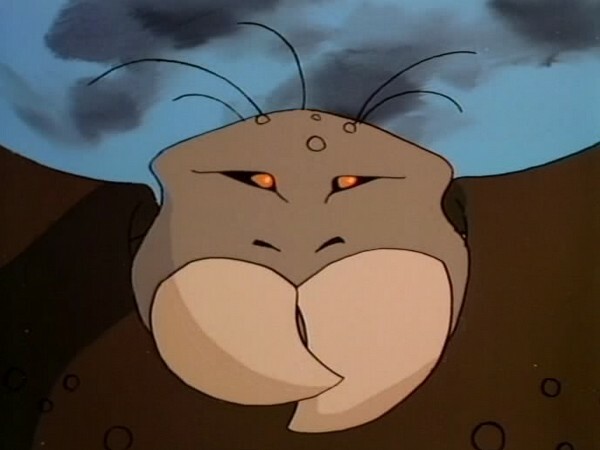 One of the biggest areas where ThunderCats was able to so effortlessly incorporate these moral messages into its adventures was through the character of Lion­O. As has been well documented, many series from this period featured a diminutive “kid character” who would be educated by the elder characters in day­to­day life situations, such as the value of teamwork, co­operation, not judging a book by its cover, and so on. 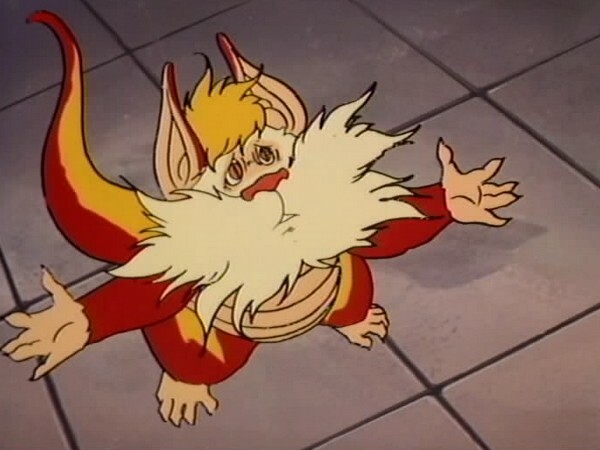 The desire was to avoid having this young target audience feel “preached to”, ThunderCats managed to mask this still further by making the character who needed to grow, mature and develop not just an adult character, but the series’ main hero, Lion­O. 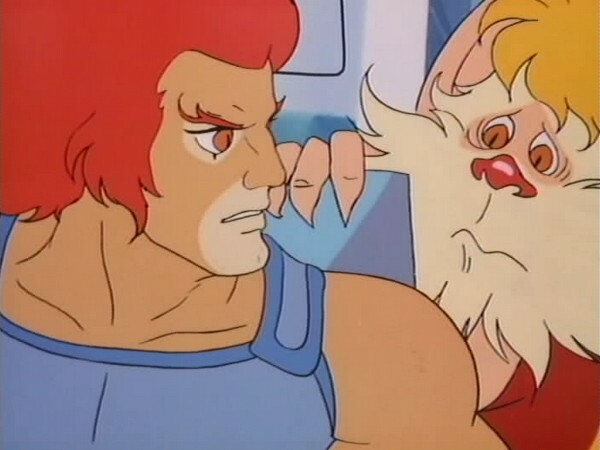 As such, many of ThunderCats’ earliest episodes are built around the concept of Lion­O developing through his mistakes, such as acting impulsively or judgmentally, and this episode is built around that concept. 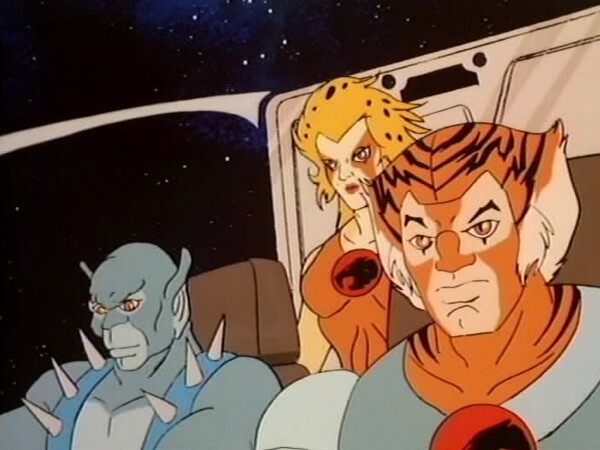 Even though with the involvement of the ThunderCats’ new Feliner vehicle this episode does clearly fit at this point in the series from a continuity perspective, in many ways this episode feels as though it belongs earlier on in the show’s run. 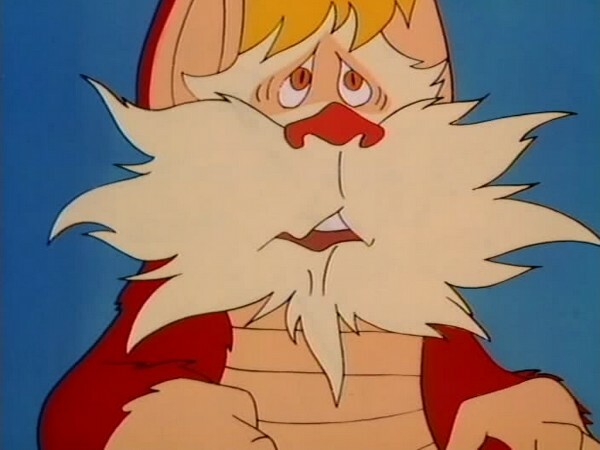 The reason for this is because, throughout the course of ThunderCats’ first season, Lion­O as a character continues to grow and develop to the point where, when watching an episode from early in the first season and then from the other end, you can notice a distinct difference in Lion­O’s portrayal and personality, with Lion­O becoming less an adolescent in a man’s body and more an adult ThunderCat who fits comfortably in an elder role. In this episode, Lion­O displays a number of (albeit understandable) character traits and flaws that seem almost like a step back to his younger self – this begins right at the start of the episode with the scene of him relaxing with Snarf, which, whilst perfectly natural­feeling, nonetheless harks back to Lion­O’s youthful, relaxation­loving persona as seen in earlier episodes, and continues on through his impulsive attack against the Territor ship (albeit largely at Snarf’s urging), his judgmental attitude towards the Territor based upon his superficial appearance, and his overly trusting approach towards the Kymera based on the same criteria. That said, it has to be stated that this is not a criticism so much as an observation, and it’s not something that in any way detracts from the episode itself. In terms of storyline, this episode is a brilliant example of wrapping up an important message for a young audience in an action­adventure setting – positively brimming with suspense and action, all of which is brilliantly paced, the entire premise of the storyline is based around the concept of not making judgments based on physical appearance, but using the concept of battling aliens as an illustration of this. 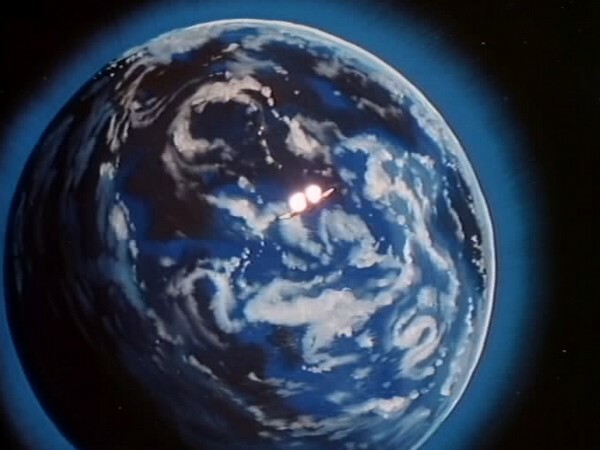 That the two aliens seen in this episode should both provide a symmetry in this example (one ugly but benevolent, the other peaceful looking but evil) reinforces this message in a way that is extremely believable, and each time is a precursor to ever more action and adventure, yet not in a manner that in any way dilutes the moral message of the episode. When looking for flaws in this episode, to be honest there are practically none. The author of this episode, Peter Lawrence, was second only to the series’ head writer Leonard Starr in the number of scripts he contributed to the show, and it’s clear that by this point (the final episode he would contribute to the show’s first season) he had really hit his stride. The storyline is mature and highly effective, the dialogue, whilst not the snappiest or most eloquent to appear in the series, more than gets the job done, the guest characters are effectively used and (something that is easy to take for granted) the animation in this episode is of a very high quality, both in terms of the actual artwork of the characters and also the use of light and shade, special effects, etc. Whilst this episode somehow narrowly misses achieving “classic” status, it is nonetheless one of the most solid and entertaining episodes from the latter end of the show’s first season, and a testament to Peter Lawrence’s superb writing ability. This episode marks the first and only appearances of the two alien races, the Territors and the Kymera. Although the Feliner is seen in earlier episodes, this episode is the first time we see the vehicle’s weapons in use. A recurring motif in several of writer Peter Lawrence’s episodes would be for a character to speak the title of the episode in a sentence at some point during it – however, in the case of this episode, this does not occur until the very final line of dialogue! 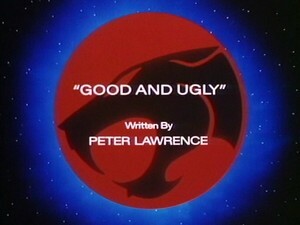 Although he would go on to contribute a further 11 episodes to ThunderCats’ second season, this episode was Peter Lawrence’s last of season 1.